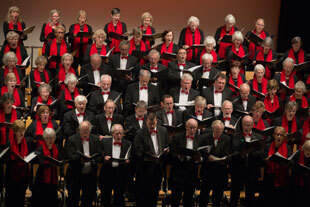 Since 1925 the Farnham & Bourne Choral Society has been bringing choral music to Farnham. 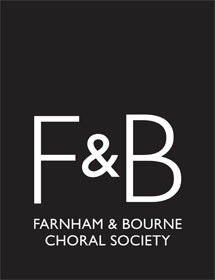 The choir was originally an offshoot of the Farnham & Bourne Music Club that was formed in 1922 to provide opportunities to see and hear professional musicians perform. 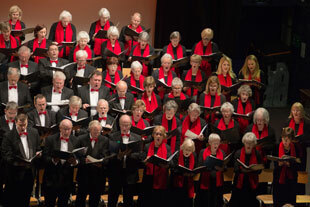 The choir performs the major choral repertoire and normally has three concerts a year at Farnham Maltings and St.Thomas-on-the-Bourne Church, Farnham. The choir membership is usually over 100. We meet to rehearse every Wednesday evening (during school term time) between September and May at South Farnham School (Rehearsal Dates and Location>>). 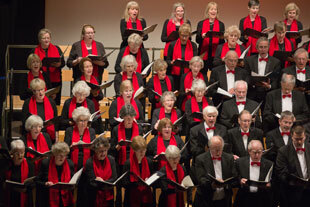 We do not audition new members; all you need is enthusiasm, although we do hope you can sing! Basic understanding of music is a benefit, although not essential. We are very keen to encourage new members to learn the delights of collective singing for two hours a week. 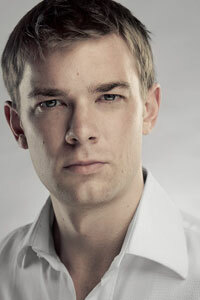 Calum has been our musical director since 2016 and has brought professionalism and energy to our rehearsals and performances.